Since 1st January 2003, the body legally responsible for the University of Göttingen has been a Foundation under Public Law. 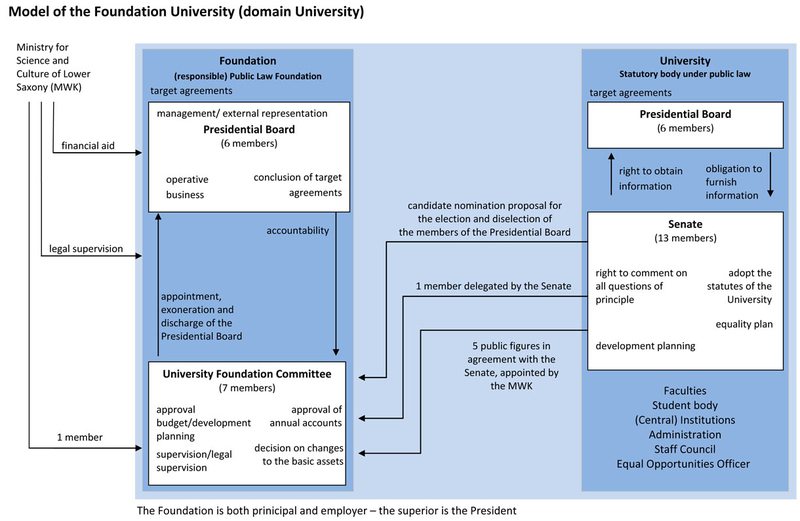 The Foundation Office advises and supports the bodies of the Foundation University including legal issues and sets up and maintains key contacts to the supervisory bodies of the Foundation, to University public and to the State Government of Lower Saxony. The task of both setting up contacts to prospective donors, founders and sponsors and creating lasting partnerships with a view to future activities falls to the Staff Unit University Fundraising. For a larger view please click on the graphic.